Just one month ago, following our congregational trip to Israel, I spent time in Paris with my wife and special friends. While in Paris, we visited the usual sites and experienced many familiar parts of France and French culture. But, we also learned more about the relationship between France and its Jewish community. Rabbi Tom Cohen, leader of Kehillat Gesher, a liberal synagogue in Paris, met us on the afternoon of our arrival to France. After an initial introduction, we walked a short distance to the Notre Dame Cathedral. The rabbi explained more about the front of the church than we would have ever understood on our own. In one place, two statues, Ecclesia and Synagoga, revealed the hope that the church promised and the despair that was Judaism, in the church’s opinion. Ecclesia looks upward with a crown on her head; and, Synagoga looks downward with covered eyes. The message was clear. The front of the church was like a storybook that, carved out of stone, would tell the hope of the church for centuries. possible sacrifice of my soul. and suffering the Jew weeps. is heard the Jew hopes. ancient and the most modern. created; men are creating him. above nations and above Israel itself. unity, Israel places the unity which is divine. Today, as part of the ceremony of conversion to Judaism, a conversion candidate reads these words. They are a testament to the passion that flows through us when we are confronted with seminal Jewish moments just as Fleg and Herzl experienced in their generation. That one would read these words upon conversion to Judaism, speaks volumes about his or her commitment to our people, our faith, and our land. The tour of Le Marais was magnificent. Rabbi Cohen, who lives in the Le Marais, seemed to know the history of every stone in every street and building. From the famous falafel shop to the remarkable Holocaust Museum, he showed us the plaques on the walls that honored those who lost their lives while saving Jewish children and families from the Nazis. The past was all around us, but so was the future. New storefronts preserved former Jewish owners’ names and businesses. Many popular stores are found in Le Marais, and on Sundays, the streets are crowded with families, Jewish and non-Jewish, who come for shopping, food and family-time. The next day in Paris, I was so pleased to meet with Stephane Beder, Vice-Chair of the WUPJ (World Union for Progressive Judaism). At a café on the Champs-Élysées, over espresso and pastries, we talked about French Jewry, specifically, and about European Jewry, in general. Stephane corroborated Rabbi Cohen’s comment about French Jews. He said that some did leave France for Israel, after anti-Semitic incidents in recent years. They feared for their lives and they feared for their livelihoods, as many of them were merchants and business-owners. However, it wasn’t long after they moved to Israel, that many of them returned to France. France was home, and economically, it was more difficult in Israel than it was in France. I also heard in their comments a great love for France among Frenchmen, including Jews, who have made their homes there for generations. Comparisons will be made between French Jews, today, and German Jews, in 1930s and 1940s, but there is a difference. I heard from Stephane and Rabbi Cohen that Jews of France are not unaware of the danger signs, and they’re not unprepared to respond better than generations ago. But, the separation of church and state in France is learned at an early age and it’s honored as a French value to this day. It contributes to a sense of enduring security among French Jews, despite periodic eruptions of anti-Semitic acts. The same could not be said of European Jewry. Stephane was clear that some leaders who are emerging or being elected to high office will, indeed, threaten the future of Jewish communities that are just now thriving long after they were destroyed in WWII. A watchful eye will have to be maintained as European Jews plant new roots, open new businesses and synagogues, and even rabbinic seminaries. Nothing is for certain, but lessons of the past might enable European Jews to navigate their way to a future founded on hope in Jewish tradition. Finally, I was impressed by Stephane’s confidence that the future of European Jewry was reflected in what happens in Paris, France. With a larger Jewish community than London, England, the Jews of Paris are a bellwether of what may be in store for the Jews of Europe. I was very grateful for my time with Rabbi Cohen in Le Marais, the Jewish quarter, and with Stephane Beder, from whom I learned so much. Before you might travel abroad anywhere, I urge you to reach the World Union for Progressive Judaism (WUPJ) at www.wupj.org, to learn about the liberal Jewish communities where you’re visiting, and the eager Jewish leaders there who would be pleased to share their world with you. 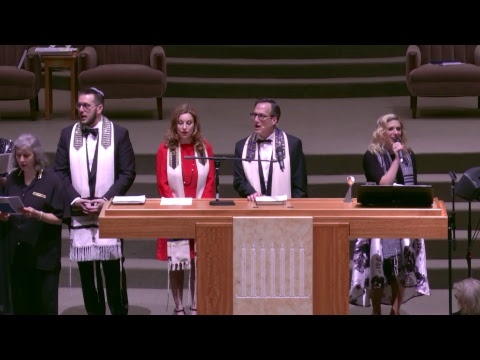 We’re all “mishpacha,” we’re all family. Though the media might tell you otherwise, the Jews of France are thriving. And, if they really are a bellwether of the future, then we can say “Am Yisrael Chai,” the Jewish people lives, because it is not just a dream, after all.